Outdoor chandelier lighting fixtures are capable of extending the home line visually, and they allow the occupants of the home to move around safely outdoors as well as indoors. 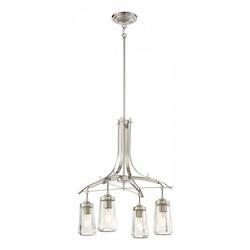 There are tons of diverse types of chandeliers for the outdoors, such as traditional, contemporary, rustic, modern, cottage, industrial, vintage, Tiffany, etc., which are made of durable materials, like metal, glass, fabric, shell, plastic, bamboo or wood. 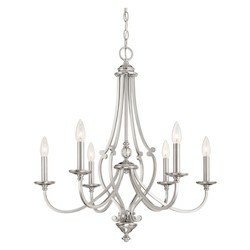 Why should you visit wegotlites.com to buy your favorite outdoor chandelier lighting? We Got Lites is the leading online retailer for all types of outdoor chandelier lighting, ranging from useful post light fixtures to ornamental outdoor pendant lights and even modern indoor and outdoor chandeliers. Each of our outdoor chandeliers plays a vital role in making the outside of your home the safe refuge it is intended to be. On wegotlites.com, you can find a variety of modern and traditional outdoor hanging chandeliers and large outdoor chandelier light fixtures in various designs. They are designed to add a vivid, contemporary pop to Mother Nature's scenery while highlighting the structural design of your home simultaneously. Whether it is an outdoor candle chandelier, outdoor patio chandelier, or a led outdoor chandelier, all light fixtures offered at We Got Lites are capable of making an immense first impression on your visitors before they even come into your home. Our affordable outdoor chandeliers and entrance light fixtures are designed to greet your family and friends at the door with both friendly illumination and a foreword to the design and personality of your home. If you would like to enhance the beauty of your front porch, you can mount one of the attractively designed outdoor chandelier lighting fixtures offered at WeGotLites. Our led outdoor chandelier is another way to offer essential light and to make the perimeter of your home brighter in an affordable way, as it consumes less current. 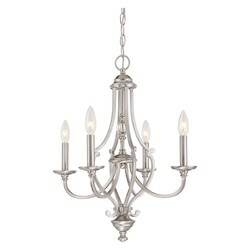 Our outdoor candle chandelier is a perfect light option for your homes outer entry. To continue your outdoor entertaining after sunset, you can opt for our outdoor portable chandeliers, torches or ornament lighting in your backyard. If you want to feel a sense of security from a chandelier lighting fixture, you can mount our safety chandeliers and flood chandeliers to assist in offering a guiding light on your driveways and walkways. We Got Lites has all types of outdoor chandelier lighting fixtures for all the tastes, styles and budgets of every homeowner. 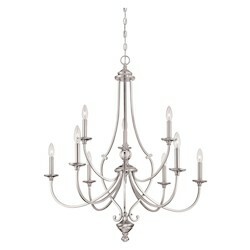 If you have any decorative inclination, you are certain to find the accurate collection of exterior chandeliers on wegotlites.com at the best prices. Traditionally styled porches and patios can greatly benefit from our different chandeliers for outdoors, such as an outdoor candle chandelier, outdoor hanging chandelier, large outdoor chandelier, and outdoor patio chandelier. 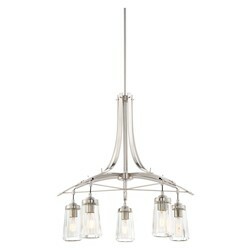 For a clean, modern look, check out the huge collection of chandeliers for outdoors, featured on our site. The led outdoor chandelier is the perfect and affordable outdoor chandelier option to keep your utility bill under control. These are the most energy efficient light fixtures, which immediately offer bright light for your front porch or rear patio, and at the same time also being remarkably stylish and sleek. Visit We Got Lites in person or visit our official website, wegotlites.com now to buy your preferred outdoor chandelier and enhance the charm of your outdoor spaces in an affordable way.